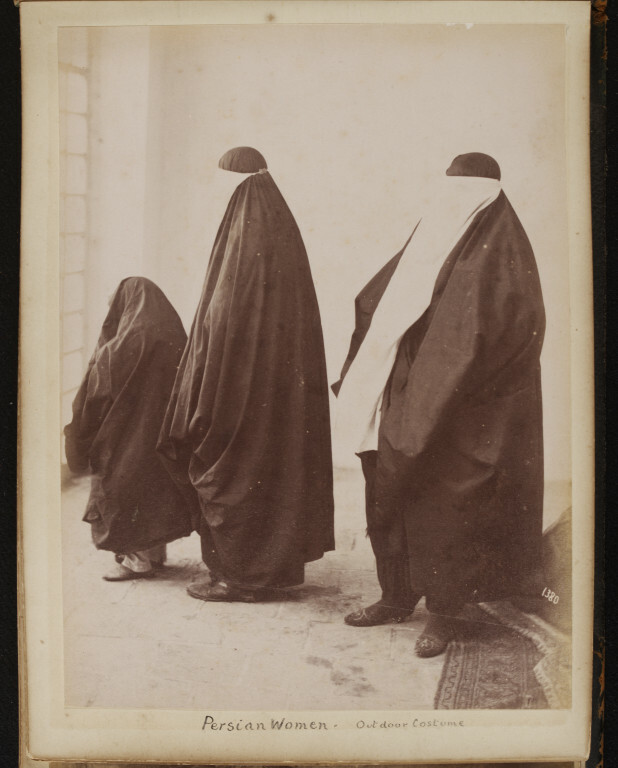 This photograph of two women and a girl wearing black chadors and white ruband face-veils is part of the C.R. Smith archive. This small archive consists of an album of 60 mounted albumen prints (predominantly portraits and topographical views, taken in Iran and Iraq), a further 24 loose photographs, and a series of letters and memos. 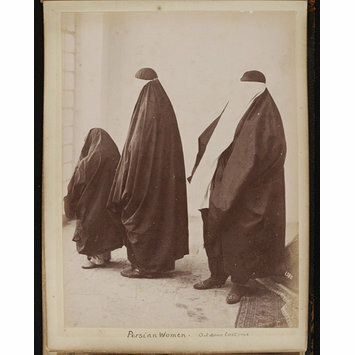 Photograph, albumen print, captioned 'Persian Women. Outdoor Costume'.